Victory Naga celebrated their first anniversary last October 23! 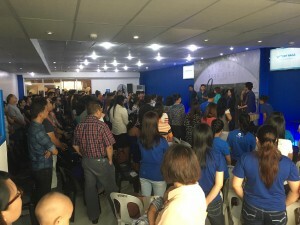 With the theme, “We Are One: Together Stronger,” our year-old church in Bicol has grown so much since it was first started, and by God’s grace, it continues to grow in number as more Bicolanos hear the preaching of God’s word. Naga City is considered the heart of Bicol, due to its location right at the center of the province of Camarines Sur. It is the Bicol region’s center for trade and business; the hub for religious, cultural, industrial, and commercial activity. It is also home to the six largest universities in the Bicol region, making it South Luzon’s educational center. 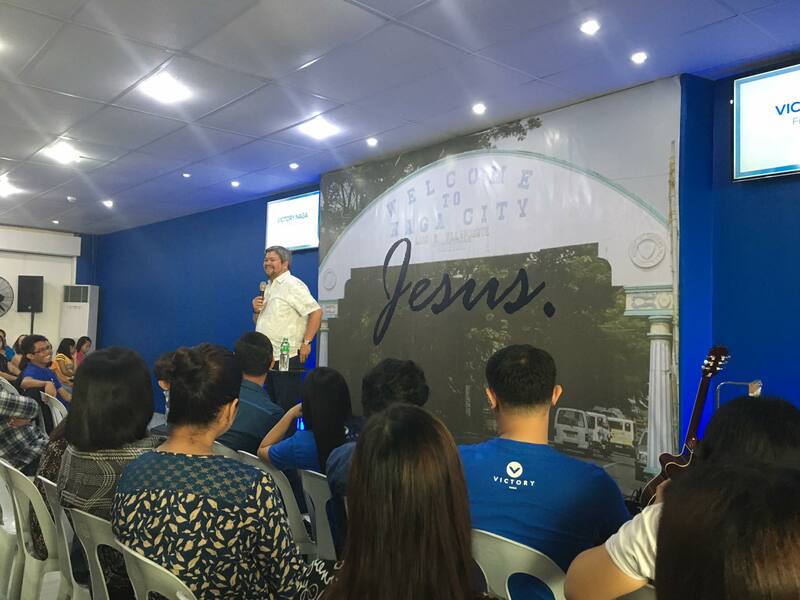 Apart from being the hub of activity, Naga is also strategically located to give way to more church plants in neighboring towns such as Iriga and Nabua. Church planting efforts in this city began in 2002. In 2014, with the help of Victory Legazpi and through the leadership of Pastor Al Bantayan, monthly gatherings were held, which made an impact in the creation of more Victory groups. On April 2015, Pastor Jason Calara graduated from the School of Church Planting and was an answered prayer to the church. Finally, on July 2015, the Victory Naga church plant transferred to their own center at Nagaland E-Mall, holding their soft launch there. Through the power of prayer, discipleship, and fellowship, Victory Naga held their grand launch last October 2015. This year, we witnessed their heart to engage culture and community, establish biblical foundations, equip believers to minister, and empower disciples to make more disciples, as they celebrated their first anniversary, stronger and better than before. Let us continue to pray for open doors and open hearts, so that more disciples and leaders will be raised for God’s glory in Bicol. Together, let us intercede for this young church’s leadership team, volunteers and staff as they continue to advance God’s kingdom in this part of the Philippines. Victory QC at 16 on the 17th!